This Place of Worship was founded in 1928, but we understand it was closed in 2005. Mentioned in Kelly's Directory of 1932 as "Junction Baptist Chapel, situated in Uttoxeter Old road ... will seat 580 ... completed in 1928 at a cost of £6,500". 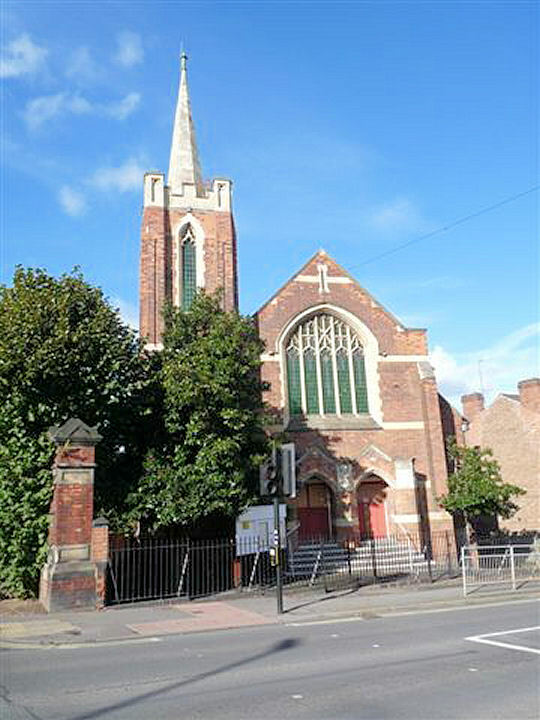 It is not mentioned in Derbyshire Record Office's Non-Conformist Register Guide, although the congregation was in fact founded in 1855. Sadly, this church was closed to Baptist worship in 2005, as a consequence of an arson attack. It was however reopened in 2010 as a meeting place for followers of an Indian faith, for those who had met previously at a house in Bemrose Close. Meanwhile the previous attendees of the Baptist faith are meeting at 'The Firs' Primary School, in Raven Street. Junction Baptist Church, Derby shown on a Google Map. Information last updated on 4 Dec 2010 at 20:26. This Report was created 27 Mar 2019 - 09:57:18 GMT from information held in the Derbyshire section of the Places of Worship Database. This was last updated on 6 Feb 2019 at 15:49.